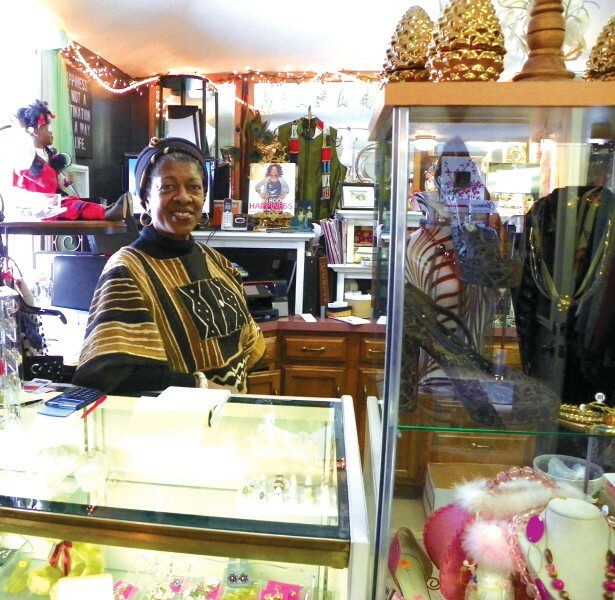 Shoes, purses, clothing, jewelry and some housewares are sold at N’dapanda Consignment Shop at Flushing and Linden roads. FLINT TWP. — Before the outside sign went up, a lot of passersby did not know that a resale shop had replaced a retail boutique in the brick building at the northwest corner of Flushing and Linden Roads. Inside the N’dapanda Consignment Shop looks likes a retail women’s clothing boutique stocked with quality women’s clothing and accessories. The shop opened last June but customers really started pouring in once the sign went up and people realized it was a consignment shop, said owner Barbara Culp, a retired state worker after 30 years. “We have ladies from the whole I-75 corridor,’’ she said referencing a network of bargain hunters who make the rounds at consignment shops on Saturdays. A busload of shoppers left Culp’s store two weeks ago bound for a full day of shopping at Detroit-area consignment stores. They’re planning another trip in the summer but the destination might be different, she said. Opening the store was a longtime dream for Culp. As for the shop’s usual name, Culp explained that N’dapanda means “I’m happy’’ in the Swahili language. Bargain-hunting shoppers will be happy to find shoes, coats, jewelry, cologne, hats and much more in the cozy 500 square-foot, two-level store. Culp said she’s planning to eventually add art and small housewares to the merchandise mix. She’s also looking for more consignors to bring in things to sell and is currently taking in spring clothing, which is accepted during open hours. Culp has a couple of friends who help her run the store from 11 a.m. to 5 p.m. Tuesday through Saturday.